A Beginner’s Guide to Testing and Measuring Your Donor Campaigns - Communicate! As a nonprofit leader, you probably already know that measuring your organization’s return on investment (ROI) is essential. However, it’s an undertaking that involves inherent challenges when compared to for-profit company leaders facing the same responsibility. While nonprofits are adept at delivering value, they tend to be less prepared to demonstrate the value of their work, or report outcomes that make sense to donors. Why are Testing and Measuring Such a Struggle? Some organizations simply lack the resources to measure impact. Other nonprofits have the resources but don’t understand what factors they should be testing and measuring, or how to quantify their impact. Despite these challenges, stakeholders hold nonprofits to the same level of standards when it comes to accountability, transparency and measurable results as their for-profit counterparts. So what can your nonprofit do to meet those expectations? It can be challenging to figure out exactly what metrics you need in order to identify where your nonprofit’s performance has room for improvement. Many organizations make use of core key performance indicators (KPIs), or analytical tools to help them raise more and more funds. This category is one of the most commonly referenced fundraising success metrics. It answers a very simple question: Did you raise money, break even, or lose money? To determine cost per dollar raised, divide expense by revenue for the specific fundraiser you are examining – such as an event, direct mail appeal, or annual campaign. If the expense and revenue are equal, you broke even and do not need to carry out any calculations. If the expense is higher than revenue, you lost money. Do you know how to track how many donors your nonprofit retains on a year-over-year basis? A sign of growth is the number of donors who renew their support. Pay attention to any loss of donors. Weak performance in this category can be a sign of problems that you need to deal with immediately. Ideally, your acquisition and retention rates should be improving simultaneously. In general, some organizations place a stronger emphasis on acquisition , some on retention. Acquiring new donors is an expensive undertaking, and retention can be much more cost-effective. Track your retention rate in a donor management system or a customer relationship management (CRM) software to understand how your nonprofit is doing and determine if your retention practices need enhancing. If you realize that you have a rate that needs improving, look to your stewardship practices and re-evaluate periodically. Do you know your nonprofit’s typical gift size? How does it compare to average gifts from three years ago? If newer donations remain steady but the value of each gift remains minimal, you have an opportunity to grow your annual fundraising numbers substantially. Look to your current donor pool for ideal candidates to upgrade, and never overlook slighter increases in gift size – they all add up. This metric is equally as popular and similar to cost per dollar raised. Instead of dividing expenses by revenue, you divide revenue by expenses. Once you have divided the two amounts, a number greater than one indicates that you have raised money. You should always know if the strategy you are using is paying off with regards to how you spend time and resources. The ROI metric is comprehensive, so consider all of the factors, including the donation output of the sum total of your fundraising inputs. For example, use this assessment to determine if your annual gala is more fun, more profitable, or even both. While unique fundraising activities are a great strategy to mix up annual campaigns, in the end, the overall funds you raise must be a top consideration. Today’s nonprofit donors require clear measures of performance and impact. They want real performance metrics as proof that you and your team are making smart decisions with their money. They also want to be shown clear results in meaningful, measurable ways, and that their donations are supporting positive impact regarding your mission. The metrics we noted above can give you a good start as you pay closer attention to the specifics and become more familiar with your organization’s performance. The things you learn from your efforts can ultimately shape your strategies moving forward. 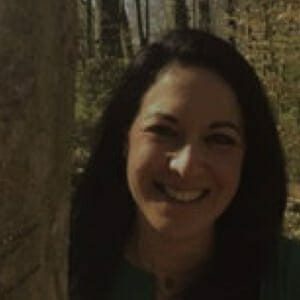 Lisa C. Dunn is a writer for TechnologyAdvice and a freelance writer, copywriter and ghostwriter who develops high-quality content for businesses and non-profit organizations. For over 20 years, she has worked with numerous PR and digital marketing agencies, and her work has been featured in well-known publications including Forbes, VentureBeat, Mashable, Huffington Post, Wired, B2C, and USA Today, among others.